Discover our large collection of diamond rings. Whether you want to buy a gift or simply treat yourself, diamonds say it with prestige and elegance. 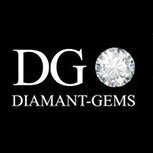 All our diamonds come with certificates and benefit from our expertise as reputable diamond merchants. The diamond rings below can be completely customised so why not choose something unique for your diamond and your setting ? We can also invite you to our showrooms where you can meet our designers. The prices shown below are for the setting without any stones. Prices vary according to the diameter of the diamonds and your ring size. 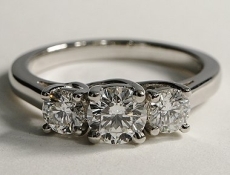 Contact us if you would like us to adjust the price of your setting according to the stones you have chosen. We are happy to provide you with a quotation. 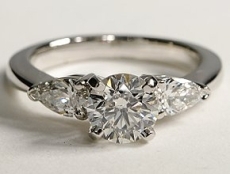 If you don’t find the setting you’re looking for, our jewellery design department can create a bespoke diamond solitaire or wedding ring especially for you. We use the most advanced techniques to ensure that each diamond ring is unique while respecting the traditions of jewellery craftsmanship. 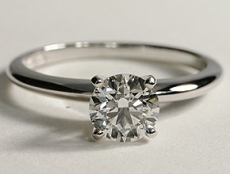 Once you have chosen your diamond, we will set up the first consultation to discuss your requirements and show you some models to help you decide on the final design. 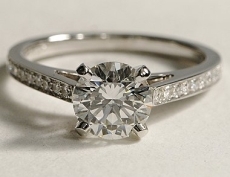 Each diamond solitaire or wedding ring is given extra special attention so that we canguarantee the highest quality. 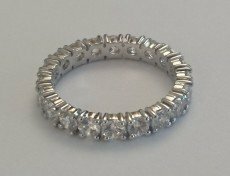 It takes about four weeks for us to create your bespoke diamond ring. Contact us !